William H. Martin. 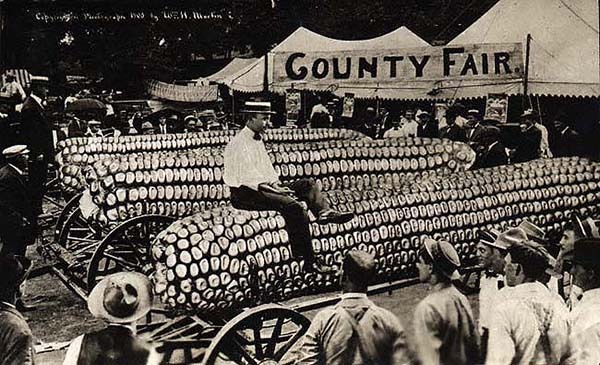 Untitled (County Fair). Silver Print postcard, 3.5 x 5.5 inches, 1908. In the late 19th century, little-known photographer William H. “Dad” Martin moved to Ottawa, Kansas at age 21 to study under photographer E. H. Corwin. Martin had almost no previous experience with photography. He was so successful at it, however, that he purchased Corwin’s studio in 1894, just eight years after his arrival in Ottawa. Famous exclusively for his postcards, which he produced between 1908 and 1912, Martin helped to pioneer the technique of photo-montage in America. 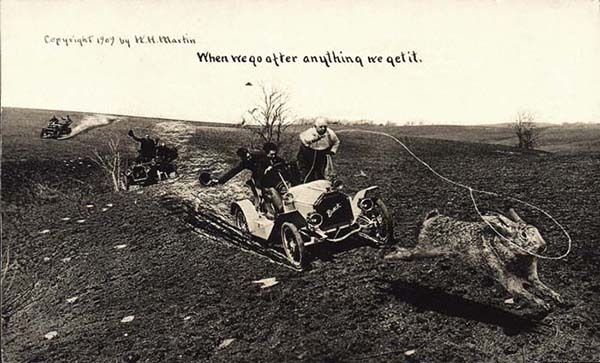 His postcards depicted humorously hyperbolic scenes from the American frontier: carts loaded down with impossibly huge vegetables, rabbits the size of horses pulling sleighs and milling about like buffalo. William H. Martin. 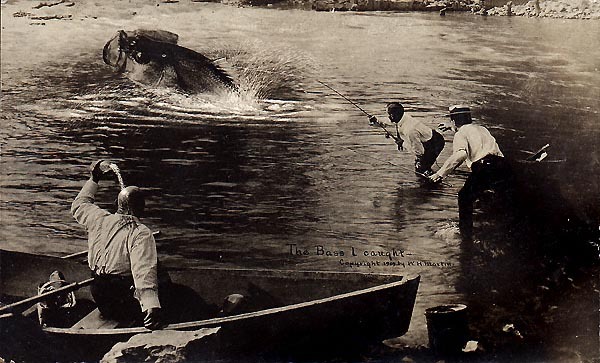 The Bass I Caught, Silver Print postcard, 3.5 x 5.5 inches, 1909. William H Martin. ‘Salted.’ So easy. Put salt on their tails. Silver Print postcard, 3.5 x 5.5 inches, 1909. The “tall tale” is a uniquely American concept, borne out of a time period in which America was beginning to fully define itself and it’s place on the continent. The premise of the tall tale is simple: ordinary people and places grow to more and more extraordinary proportions with each retelling of the story. Davy Crockett, for example, was a genuine frontier hero whose story later acquired the grand, nearly surrealistic claims of his strength and prowess which most Americans are familiar with today. 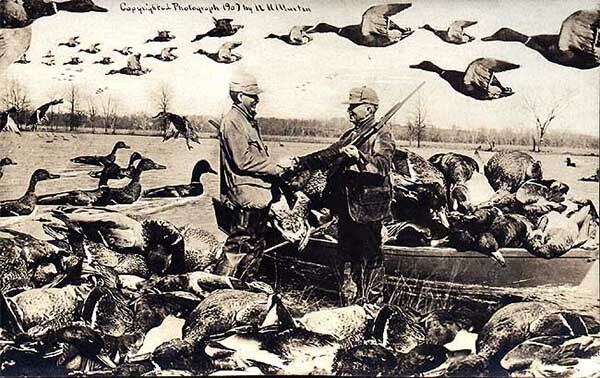 Martin’s postcards reflected this larger culture of the tall tale as it spread across the nation. As such, the postcards became wildly popular throughout the country. William H. Martin. When We Go After Anything We Get It. Silver Print postcard, 3.5 x 5.5 inches, 1909. William H. Martin. 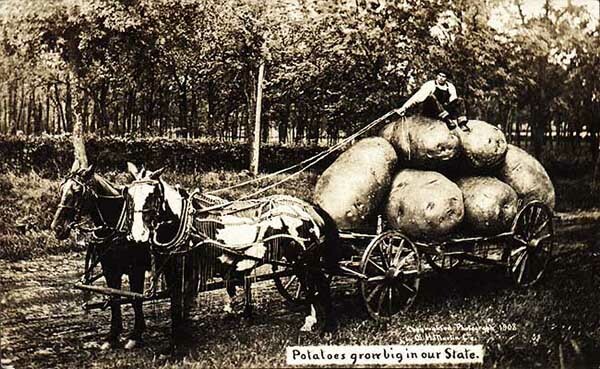 Potatoes Grow Big in Our State. Silver Print postcard, 3.5 x 5.5 inches, 1908. Martin’s technique was one which many photo-montage artists continue to use today: first, each element of the scene was photographed, then elements from multiple photographs were cut and pasted together, and finally the resulting montage was re-photographed, creating a seamless effect. This aesthetic of the “believably unbelievable” remains extremely popular even in modern photo-montage. Martin’s photographs were so well made and in such high demand that many of them were plagiarized and sold under other names. William H. Martin. 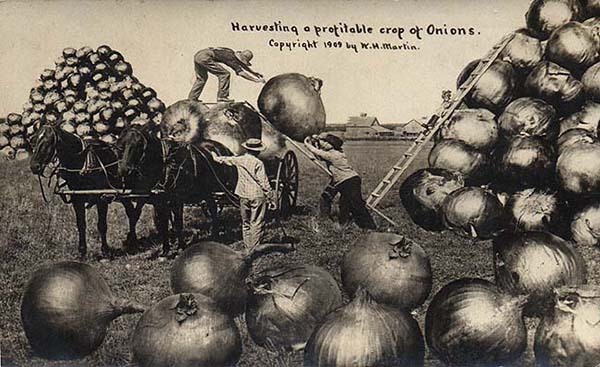 Harvesting a Profitable Crop of Onions. Silver Print postcard, 3.5 x 5.5 inches, 1909. William H. Martin. 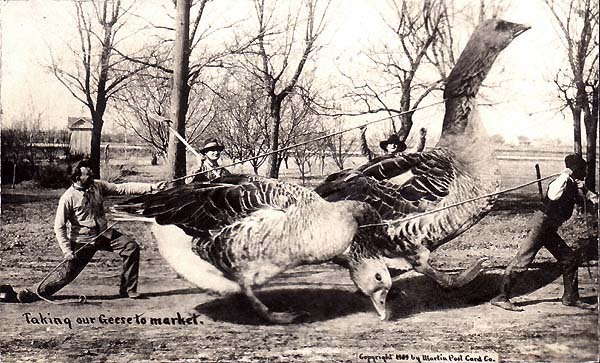 Taking Our Geese to Market. Silver Print postcard, 3.5 x 5.5 inches, 1909. 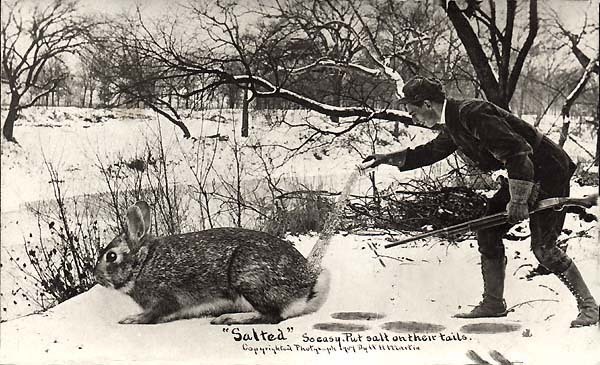 After only three years the popularity of these postcards brought Martin wealth, and he went on to sell his business in 1912. Martin used the profits to found a business called National Sign Company, and from there on receded back into obscurity. As far as history is concerned, William H. Martin never sold another photograph. William H. Martin. Untitled. Silver Print postcard, 3.5 x 5.5 inches, 1909.